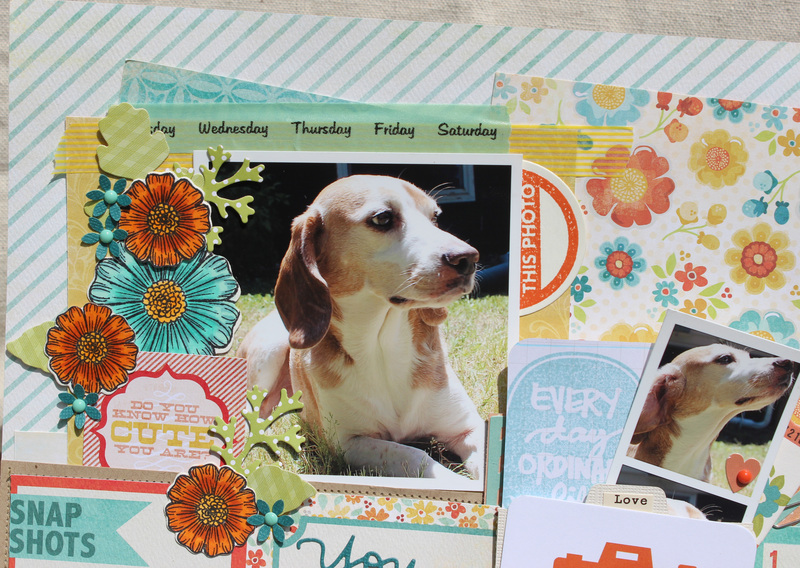 With Project Life taking over papercrafting like a whirlwind, most collections have added 3×4 and 4×6 cut apart sheets. Even most of the kit clubs are now offering Project Life subscriptions like Cocoa Daisy, Studio Calico and Citrus Twist. With all of these Project Life card options, I have accumulated quite the stash. 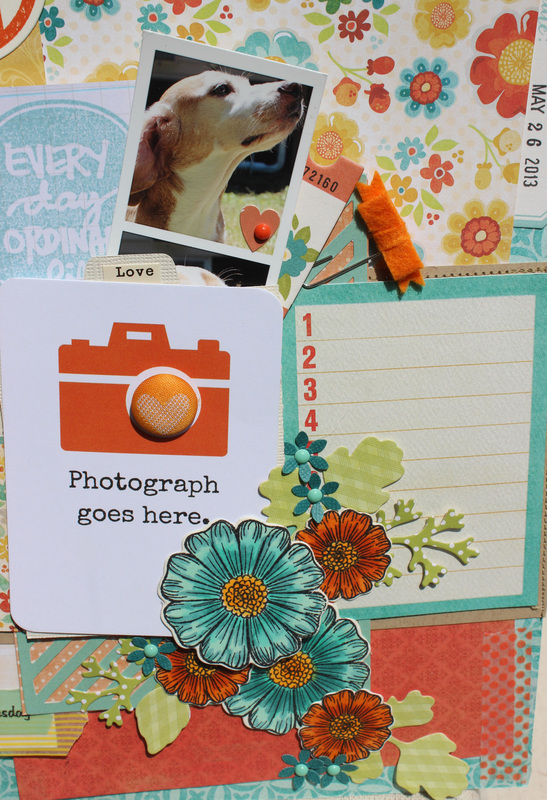 Now, I am a bit of a Project Life fail and as a result I really needed to start incorporating these Project Life cards into my regular scrapbooking. So I sat in my chair in my scrapbook room and started my therapy session. Pulled out My Mind’s Eye Collectable, some Studio Calico Project Life, searched through the various 3×4 cards available on the Silhouette online store and went to work. Underneath that third 3×4 card which was from a Studio Calico project life kit, is a wonderful cut file (Flat bag with bracket tab) from Lori Whitlock that can be found on the Silhoette online store. 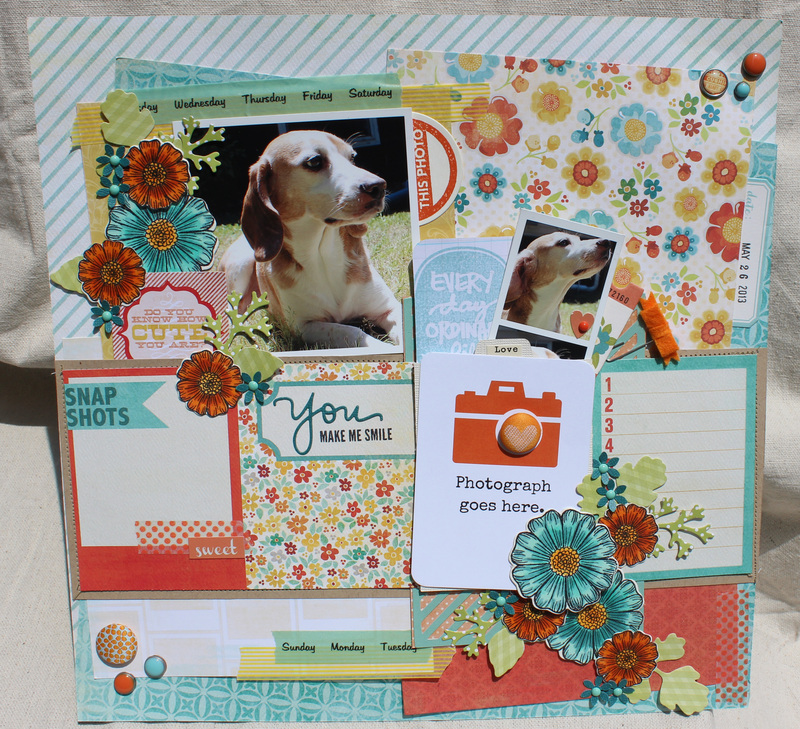 I am a pretty slow scrapbooker. A layout takes me about a day and half. This hobby overall is my life’s therapy so I take the credo of you cannot rush creativity. This layout, however, came together very quickly once I realized I wanted to put the focus on those 3×4 cards. This was a lot of fun but as therapy sessions go- there is still more work to be done. Title: You Make Me Smile. Cardstock: Bazzill (kraft), Neenah (classic crest natural white), Core’dinations (Ice Cream). Patterned Paper: My Mind’s Eye- Collectable (Notable- Wonder, Memo, 6×6 paper pad; Memorable- Hello), The Sweetest Thing (Tangerine -6×6 paper pad). Stamps: Technique Tuesday (Favorite Circles, Hello Routine), Simon Says Stamp (You). Die Cut & Punches: Spellbinders (Blossom Three, Foliage, Standard Circles Large), Simon Says Stamp (You), Silhouette Studio (Design ID #41604-Flat bag with bracket tab). Embellishments: My Mind’s Eye (The Sweetest Thing-Tangerine Brads, Enamel Dots; Collectable- Unforgettable Brads), Simple Stories- Vintage Bliss (Fundamentals Cardstock Stickers, Expressions Cardstock Stickers), Basic Grey (Fact & Fiction Brads), October Afternoon-(9 to 5 -Washi tape; Farm Girl-Watering Can Label Stickers; Woodland Park-Chipboard), Cosmo Cricket (Tiny Text), Misc. (washi tape, Studio Calico-Project Life kit cards). Copics: BG10, BG13, BG18, YR15, YR18, Y35, Y38. Inks: Stampin Up (Tangerine Tango), Memento (Tuxedo Black).